Find your perfect Estée Lauder Double Wear Stay In Place Makeup shade! 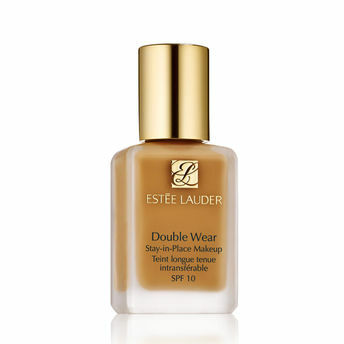 Estée Lauder's Double Wear Stay-in-Place Makeup is the best-selling liquid foundation that has 24-hour staying power and a lightweight comfortable feel. Looks flawless and natural through heat and humidity. Won't clog pores, change color, smudge or come off on clothes. Oil-free, oil-controlling, dermatologist-tested and fragrance-free! Double Wear is available in over 55 shades—including cool, neutral, and warm undertones—to suit all skin tones. Explore the entire range of Foundation available on Nykaa. Shop more Estee Lauder products here.You can browse through the complete world of Estee Lauder Foundation .Alternatively, you can also find many more products from the Estee Lauder Double Wear Stay-in-Place Makeup With SPF 10 range.